What are things “not to miss” for two adults traveling to Disney without children? We want to do Food and Wine Festival this year without breaking the bank. As newlyweds, married in Disney, we wanted to celebrate our one year anniversary then and I was looking for something special/romantic to do that has the Disney magic. Thanks!! Let me start off by saying this; Disney is not just for kids. There is so much that makes Disney World and Disneyland appropriate vacations spots, I can never grasp why some people feel it is only ok to go to these places with the kids in tow! The Food and Wine Festival is a fantastic event that is certainly more geared towards adults than children (Grey Goose Slushie, Anyone?) and planning an adult get away during this event is a very smart move! If you are visiting during the food and wine festival and want to do a bit of budgeting, I might suggest one of two things. You can either purchase the Quick Service Dining Plan or purchase a gift card wrist let for this event. The quick service dining plan will allow you two quick service meals and a snack per guest per night of your stay. This plan is perfect for people visiting during Food and Wine who are going to be at Epcot a lot. World showcase has the best quick service choices! The snack credits can be used at the numerous food booths, so this is a great value! You can always plan one or two sit down meals, but I find I rarely want to do that when attending food and wine! During the food and wine festival you will also be able to purchase gift cards that you can wear around your wrist via a stretchy bracelet. These can be purchased at various locations throughout Epcot. Simply put a set dollar amount on the card and you can easily enjoy a day of snacks and drinks without having to constantly dig out money or room keys! Food and Wine also offers some great adult activities. One affordable thing that I suggest looking into is the cocktail making seminars! You can learn to make a specific cocktail and then enjoy your creation! Its a fun and unique activity only offered during Food and Wine! Beyond Epcot, there are still tons of things that adults should check out if they are traveling without kids! Plan a dinner at a signature restaurant, go to the spa, or take a carriage ride at Port Orleans. These activities will cost extra, but are well worth checking out. I also highly suggest going to the Dueling Piano Bar, Jelly Rolls, located along The Boardwalk! One of my favorite things to do as an adult at Disney is to sit on the beach at the Polynesian and watch wishes. It is a wonderful feeling to see the fireworks and hear the music, but think you are on some tropical island! Another of my favorite things to do as adults is play mini golf. You get two free vouchers for either wintersummerland or Fantasia Gardens when you book a vacation package! This is a super affordable way for a couple to have some fun together. We played at Wintersummerland on our honeymoon and it was a great afternoon! These are just a few options, there are so many things for adults to do at Disney and I highly suggest planning an adults only trip! Do you have any other ideas for adults touring without kids? I’d love to hear them! 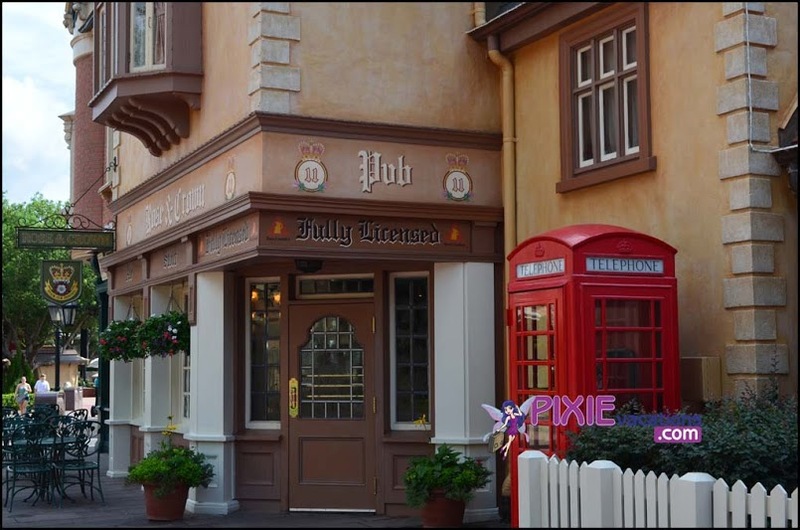 This entry was posted in Ask a Disney Question, Dining plan, Epcot, Planning Tips and tagged dining plan, food and wine, jelly rolls, polynesian. Bookmark the permalink. ← Summer Disney World Discounts Announced!